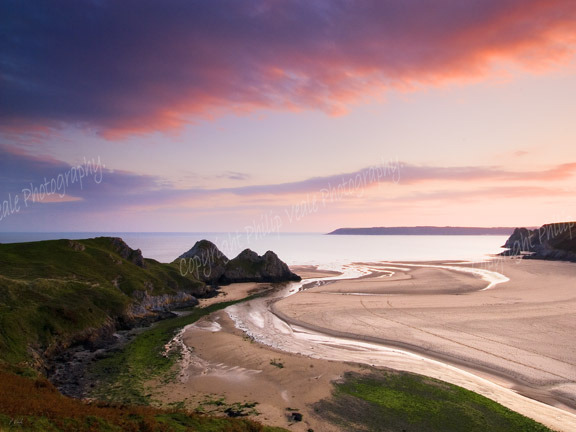 Philip Veale Photography: Three Cliffs Bay, The Gower. Three Cliffs Bay, The Gower. The soft colours of a winter sunset along the coast of the Gower Peninsula.